Dr Stephanie Cassar is an Associate within GANADO Advocates’ Insurance and Reinsurance team. Stephanie particularly focuses on insurance companies’ corporate governance issues and she regularly assists clients in all corporate and regulatory matters relating to the insurance industry. 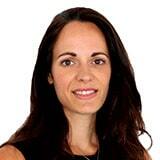 Stephanie also regularly assists in Trusts related matters. Dr Stephanie Cassar forms part of the Insurance and Reinsurance team, with particular focus on insurance companies’ corporate governance issues.